Series 6 of the Android Collectible Robots, in random designs. So, you're a strong supporter of Android, and a device from that other manufacturer would never find its way into your pocket, right? Then you should definitely go for an Android Collectible Figure! These collectible figurines come with one of several special designs. 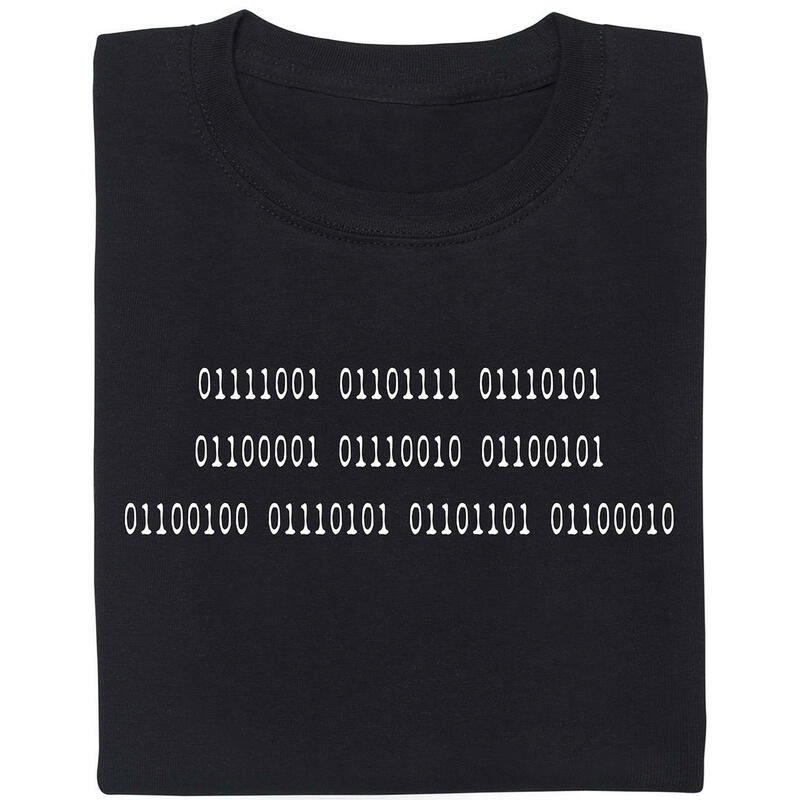 You'll find an overview in the main picture, but every design is chosen randomly. The figures are packaged in a box and also sealed in opaque foil, so not even we are able to tell which one will be sent. This cute little android robot can be placed anywhere and even taken with you wherever you go  he'll always make a good impression! The Android Collectible Figure's arms are 360° movable, with the Android logo engraved on his back (just in case someone doesn't know!). The head is also movable on its own axis. Plus, some of the figures also come with further 'special features'. The Android Collectible Figure is an original Google fan article and is part of a strictly limited series (these ones are from series number 6)! 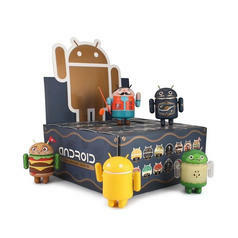 Get the Android Collectible Figure and show all those Apple fans that Android robots are way cooler! 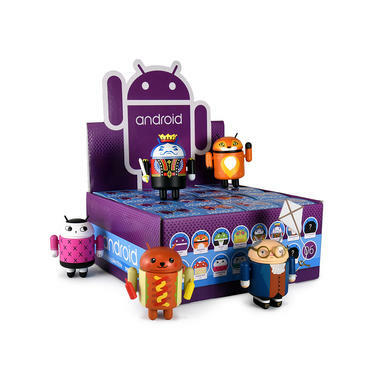 15.95 £ lade... Android Collectible Mixed Series 04 Series 4 of the Android collectible figure in an array of different designs. 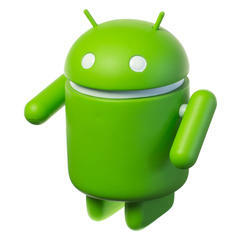 12.95 £ lade... Android Figure With this Android Figure, you'll be letting everybody know which mobile OS you favour! 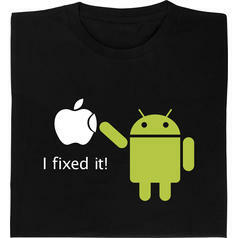 12.95 £ lade... Android Fixed it Shirt Android does not like bitten-into apples.